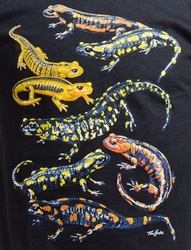 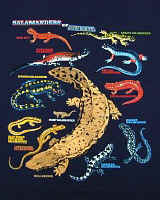 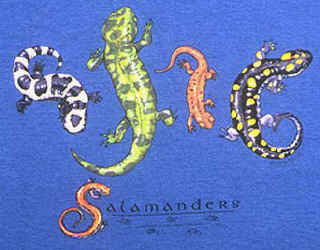 Salamanders pictured: Yonahlossee Salamander, Spotted Salamander, Red-leg Salamander, Red Salamander, Blue Ridge Two-lined Salamander, Pigmy Salamander, Slimey Salamander, Long-tailed Salamander, Hellbender, Marbled Salamander. 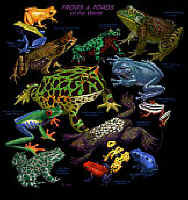 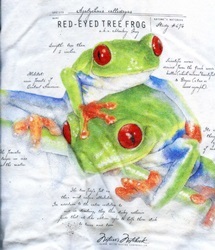 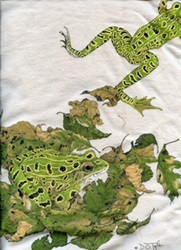 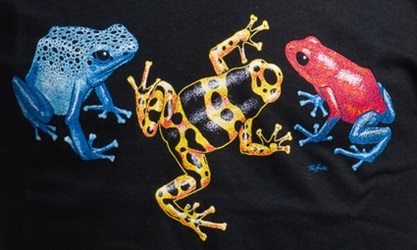 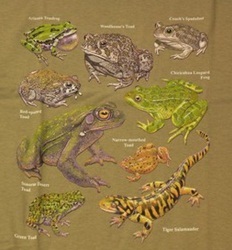 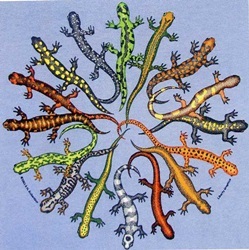 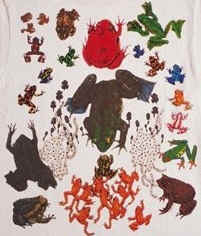 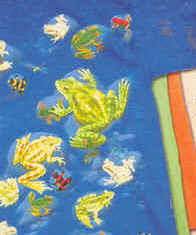 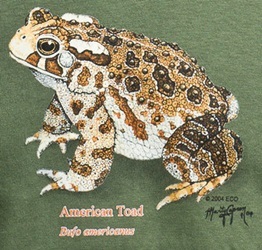 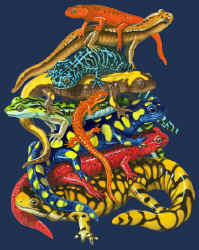 front design tshirt 12" x 12"
front design tshirt 7" x 8"
Frogs pictured (with geographic origin in parenthesies): Asian Horned Toad, Red Eyed Tree Frog, White's Tree Frog Glassy Frog, Spring Peeper, Fire-bellied Toad, Yellow Spotted Harlequin, Strawberry Dart Frog, Red-legged Running Frog, Argentinian Horned Frog, Tomato Frog, European Common Frog, Green Tree Frog, Pygmy Banana Frog, Blue Poison Frog, European Common Frog, Bullfrog, Santander Dart Frog. 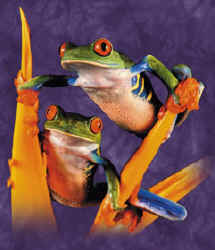 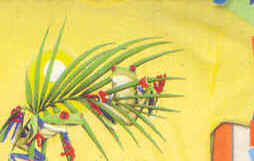 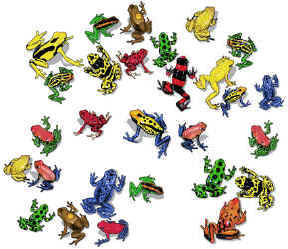 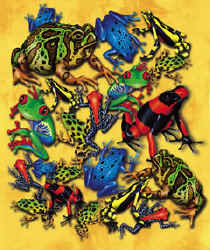 Frogs pictured (hang tag identifies common names and species epitaph):Spring Peepers, Arroyo Toad, Tomato Frog, Red Eyed Tree Frog, Wallace's Tree Frog, Painted Frog, Surinam Toad, Golden Toads, Harlequin Frog, Strawberry Dart Frog, Red-legged Running Frog, Asian Horned Frog, Bullfrog, Poison Dart Frogs: d. histronicus, D auratus, D leucomelas, D azurens, D tinctorus, P terribillis, E tricolor. 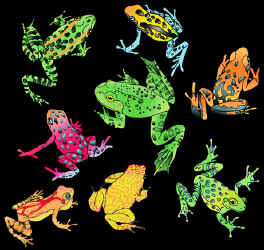 Frogs and Toads pictured: Spotted Strawberry Dart Frog, Green Tree Frog, Orange Harlequin Dart, Golden Dart, Barking Tree, Blue Poison Dart Frog, Yellow Spotted Harlequin Dart, Squirrel, Striped Dyeing Dart, Blue Leg Strawberry Dart Frog, Red Eyed Tree Frog, Spring Peeper, Wood, Cricket, Spotted Dyeing Dart, Mink, American Toad, Green and Black Dart, Granulated Dart, Chorus, Leopard, Red-spotted toad, Spotted Harlequin Dart, Horned Frog, Lehman's Dart, Bullfrog, Santander Dart, Yellow Banded Dart, Glass Frog, Green, Pygmy Banana, Pacific Tree, Pickerel, Pig, Golfoducean Dsart, Chorus, Red-legged Running Frog, Gray Tree Frog, Woodhouse's Toad, Fire-bellied Toad, Tomato Frog, White's Tree. 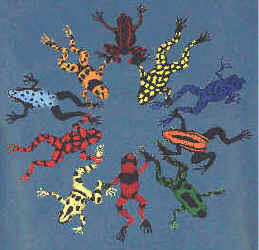 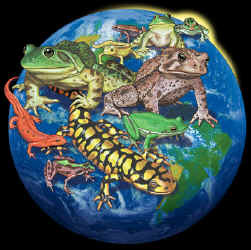 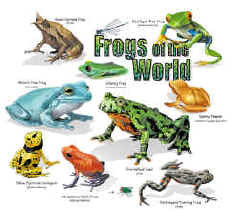 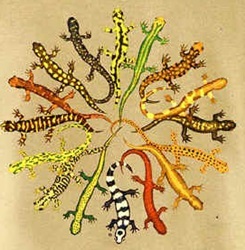 Frogs pictured with geographic origin: Mantella Frogs, Malaysian Horned Toad, Fire-bellied Toad, American Bullfrog, Ornate Horned Frog, White' s Tree Frog, Red Eyed Tree Frog, Painted Reed Frog, Surinam Toad, Green Toad, Poison Dart Frogs. 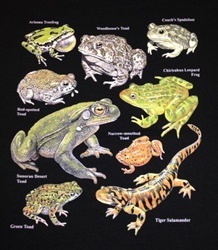 Frogs pictured: Arizona Treefrog, Woodhouse's Toad, Couche's Spadefoot, Red-spotted Toad, Chiricahua Leopard Frog, Narrow-mouthed Toad, Green Toad, Sonoean Desert Toad, Tiger Salamander. 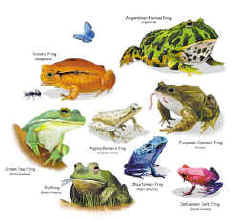 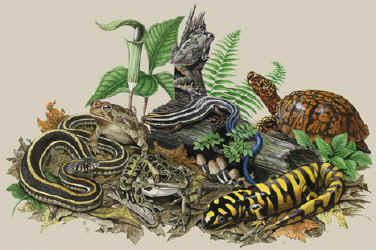 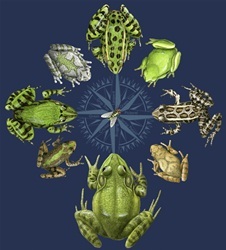 Frogs pictured: Leopard Frog, Green Treefrog, Pickerel, Spring Peeper, Bullfrog, Cricket, Green, Gray Tree. 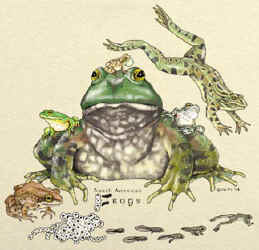 Frogs pictured: Southern Leopard Frog - two colors, Plains Leopard Frog, Northern Leopard Frog - two colors. 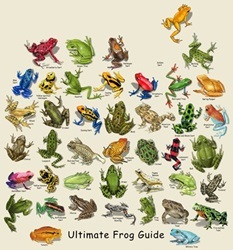 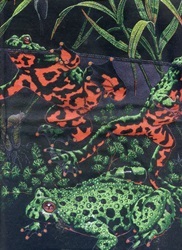 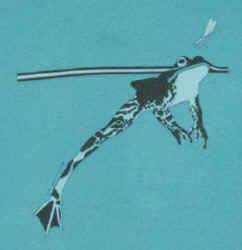 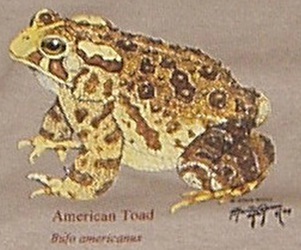 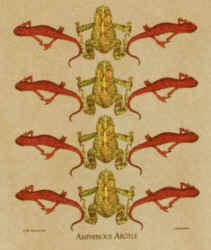 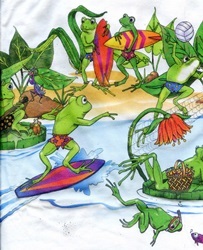 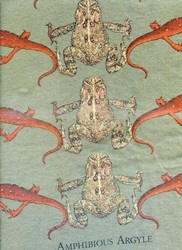 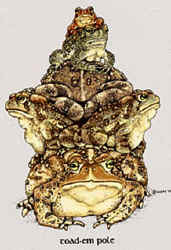 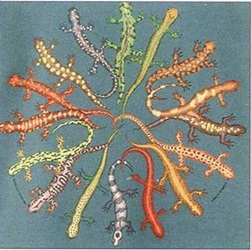 There are so many Amphibian Hats, Amphibian Neckties and Frog Books that they have their own pages. 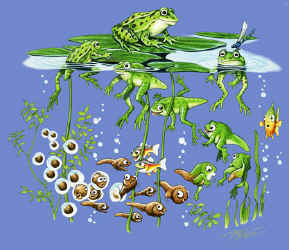 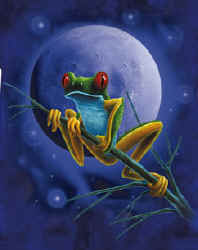 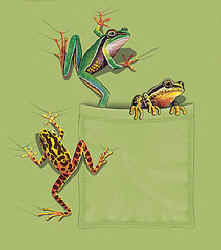 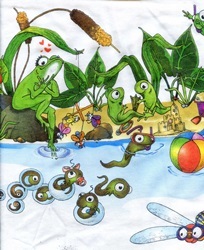 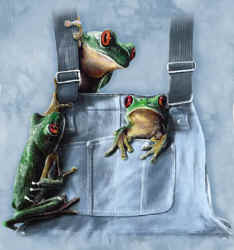 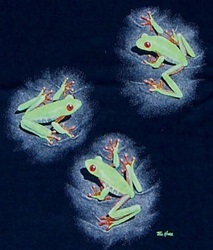 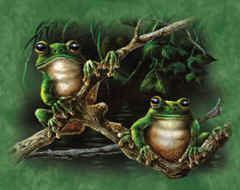 You can find frog canvas bags, mugs, pens, pencil sharpeners and several styles of magnets with the links below.